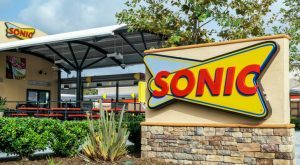 Sonic Corporation (NASDAQ:SONC) is now selling a Pickle Juice Slush. The Sonic Pickle Juice Slush joins the fast food company’s menu alongside three other flavors. The other flavors aren’t nearly as weird as the Pickle Juice Slush. They are Bahama Mama, Blue Hawaiian and Tiger’s Blood. The Sonic Pickle Juice Slush is only going to be around for a limited time. It, and the other three new Snow Cone Slushes, are part of a promotion from the chain. The company says it is seeking to give its customers the “ultimate taste of summer” with these new products. Here are some of the reactions from Twitter Inc (NYSE:TWTR) users about the new Sonic Pickle Juice Slush drink. Surprisingly enough, they aren’t all bad. Article printed from InvestorPlace Media, https://investorplace.com/2018/06/sonic-pickle-juice-slush-is-a-thing/.